Puppia's Doris Hooded Cape is perfect for a fall outing. Fall and football season are well underway with Halloween and a presidential election almost here. So what’s the well-dressed doggie supposed to do? 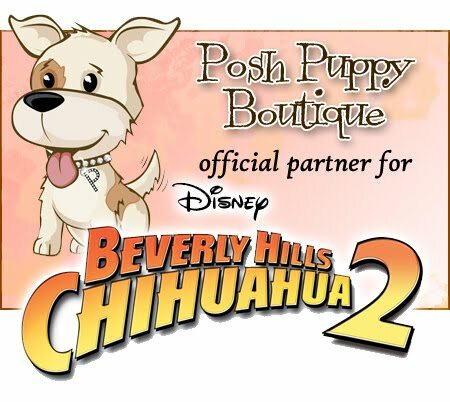 Why go shopping at the Posh Puppy Boutique of course. We sell thousands of items including numerous sweaters, coats, costumes and political apparel for both Republicans and Democrats. 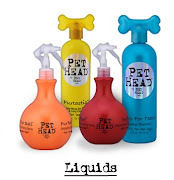 Many of our products come from prominent designers such as Central Bark Couture, Oscar Newman, Puppia, Puppy Angel and many more. Our new Doris Hooded Cape in black ($95) from Puppia works perfectly for several functions. Made with 100 percent polyester, the diamond pattern is covered with sequins, it looks great for a night on the town, any kind of classy social function and cool fall nights, such as Halloween. Sizes are small, medium and large. The Ribbon of Love Gown in Brilliant Pink ($125) is from Central Bark Couture. This ultra-classy, feminine dog gown can be seen in Disney’s “Beverly Hills Chihuahua 3” movie, which is now available on DVD. The three best friends in the Quinceanera scene are wearing this gorgeous gown. It comes in sizes from extra small to medium. Dressing your little girl in this shows both your classy style and her feminine good looks. Your little football fans can choose from our wide selection of authorized NFL and NCAA apparel, available with the logos of many prominent teams. For something more generic, consider one of our Football Sweater Vests ($25) available in tan, blue and pink. These V-neck sleeveless vests are double layered for added comfort and feature a football design on the back. Sizes range from double extra small to extra large. This cable knit sweater is classy and warm. Our Pink Cable Knit Sweater ($35), which is available both online and in our Rocklin, Calif. retail store is pretty, girlish, stylish and warm. Made with 100 percent acrylic, they are designed to machine wash and dry perfectly. Several sizes are available. If you are in the greater Sacramento area, come by and visit us. Many of the same high fashion products you see on our website can be found waiting for you on our store shelves. For example, our dog taco costumes are sold in the store in several sizes. Hay Chihuahua, they are cute. They feature soft taco shell paired with realistic fillings and close with Velcro belly bands.